In 5-oz glass, place 1 vanilla wafer cookie. 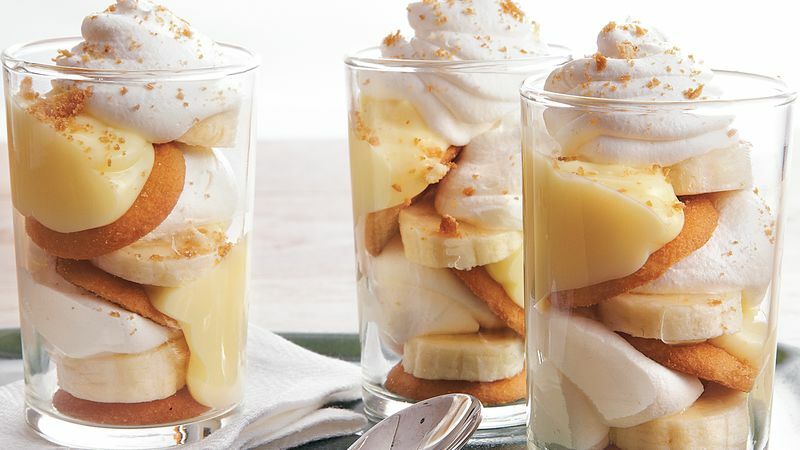 Top with 1/3 of the banana slices, 1 tablespoon of the whipped topping, another vanilla wafer cookie and 1 tablespoon of vanilla pudding. Repeat layers, beginning with banana slices. Top with remaining banana slices and 1 tablespoon whipped topping. Garnish with crushed cookies. If you’re serving a crowd, simply prepare the recipe as many times as needed.